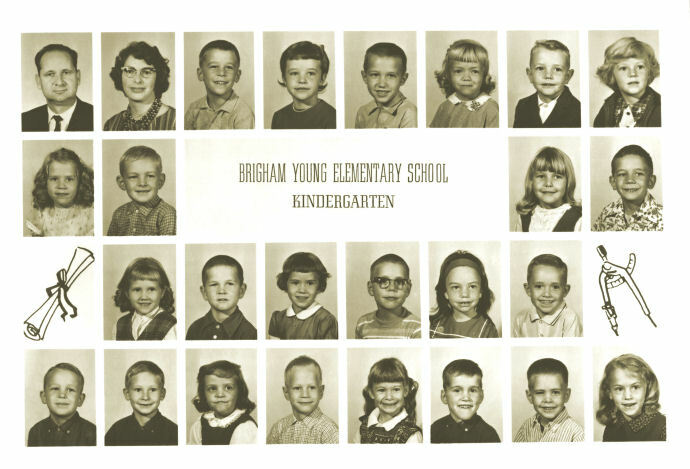 Brigham Young Academy, an elementary and secondary school, was chartered in 1875, and first opened its doors to students in January of 1876. The BYA faculty had both short-term and long-term goals, but whether the school would continue for five years, fifty years, or a century or two, was a question too far into the future for them. Brigham Young High School, the successor to Brigham Young Academy, was within eight years of reaching its Centennial, when it was unexpectedly closed by Brigham Young University administrators. Brigham Young University, launched in 1903, celebrated the high school's centennial in 1975-1976, but reached its own Centennial just a few years ago, in 2003. 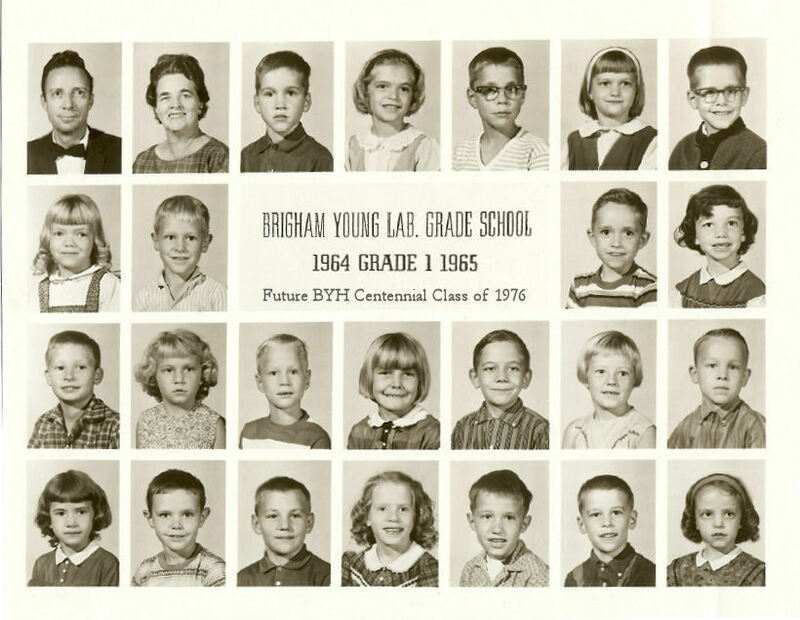 In 1968, the future BYH Class of 1976 completed Fourth Grade on the 1892 Brigham Young Academy campus, then were forced to seek their education elsewhere. Nevertheless, we honor those students who would have been in this Centennial Class of Brigham Young High School, and we invite them to consider themselves B.Y. High School alumni. 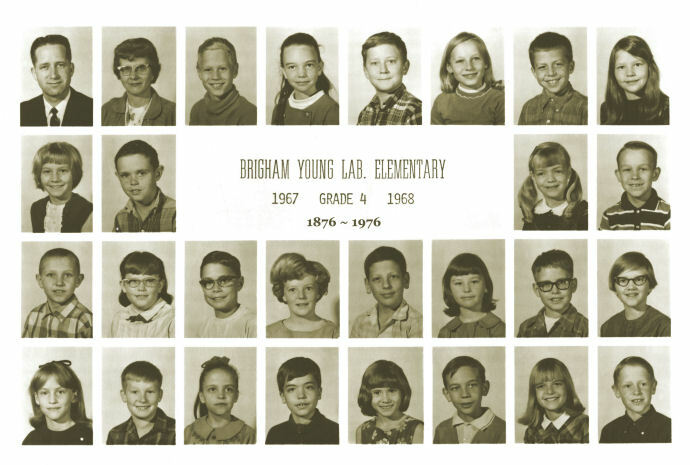 (L to R) First Row: Mr. _____ Allred, Principal; Mrs. _____ Hadley, Teacher; Richard Wirthlin; Sharon _____; David Peck; Teresa Yarn; Preston Cameron; Kathy Lee Leishman. Second Row: Lauren Howarth; Ross Phillips; LuAnn Larson; John Pulver. Third Row: Barbara Bown; Benny Lee; Jane Callahan; Gregory Larsen; Beth Anna Royall; David Green. Fourth Row: Kyle Rollins; Lee Clark; Deborah Petty; John Lewis; Lucy _____; Glenn Bennion; Raymond Layton; Anne Ashworth. (L to R) First Row: Mr. Vermont C. Harward, Principal; Mrs. Mima Rasband, Teacher; Glen Bennion; Karla Moses; Gregory Larsen; Wendy Christensen; Raymond Layton. Second Row: Teresa Yarn; Troy McKinnon; David Green; Beth Anna Royall. Third Row: Lee Clark; Alison Brown; John Lewis; LuAnn Larson; John Pulver; Kathy Lee Leishman; Kyle Rollins. Fourth Row: Jane Callahan; Alan Cook; Chris Faux; Laura Howarth; David Peck; Richard Bushman; Deborah Petty. 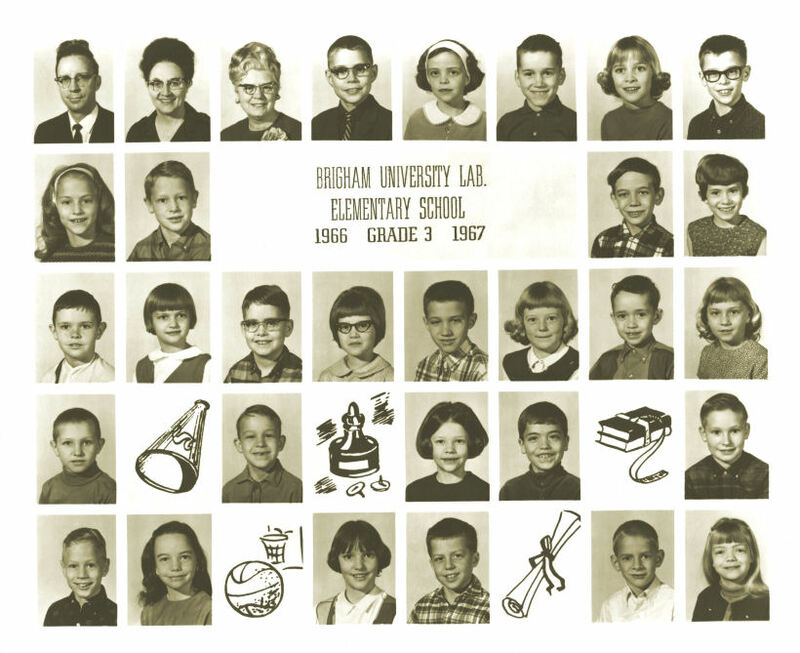 (L to R) First Row: Mr. Vermont C. Harward, Principal; Mrs. Carma Sandberg, Librarian; Mrs. _____ Allen, Teacher; Greg Larsen; Deborah Petty; Glenn Bennion; Michelle? Bigerton; Richard Worthland. Second Row: Anne Ashworth; Troy McKinnon; John Pulver; Jane Callahan. Third Row: Alan Cook; Wendy Christensen; Raymond Layton; Barbara Bown; David Peck; Kathy Lee Leishman; David Green; Alison Brown. Fourth Row: Leslie Syme; Kyle Rollins; Michelle Pearson; David Duke; Lee Clark. Fifth Row: John Lewis; Beth Anna Royall; Camile Cronk; Mark Christopherson; Richard Bushman; Teresa Yarn. (L to R) First Row: Mr. Milo Kay Campbell, Principal; Mrs. Elizabeth Adamson, Teacher; John Lewis; Beth Anna Royall; Scott Robison; Pamela Schaupp; Mark Christopherson; Michelle Pearson. Second Row: Alison Brown; Alan Cook; Teresa Yarn; Kyle Rollins. Third Row: Leslie Syme; Jeri Ann Barrus; Greg Larsen; Kathy Lee Leishman; Mark Baird; Becky McVey; Raymond Layton; Barbara Bown. Fourth Row: Anne Ashworth; Lee Clark; Deborah Petty; David Duke; Jane Callahan; John Pulver; Karla Moses; Troy McKinnon. and to Raymond Layton, Greg Larsen, Kyle Rollins, and Kathy Lee Leishman Garrett for photo identifications. Return to Class of 1976 Alumni Profiles page.